Master Honohan asked if it’s a “sick joke” that people writing to the Taoiseach were told to seek help from Abhaile. MASTER OF THE High Court, Edmund Honohan, has said the government is not putting appropriate policy in place to prepare for the “wave of repossessions [of homes] that’s about to break”. Master Honohan has written a new proposed piece of legislation that would give the State greater powers in its financial and legal support services to protect people who are in mortgage arrears. He has frequently been critical in his court of the behaviour of banks towards mortgage customers in arrears, and has called out the government’s actions to help these people as failing to offer real solutions. Speaking on RTÉ’s Morning Ireland, Honohan said that he has “people coming into [his] court on a daily basis trying to stave off repossession”. He advised some of these people to write a letter to the Taoiseach to ask where they could go to find a mortgage-to-rent solution. In a letter of reply from Leo Varadkar’s office, Honohan said these people were advised to go to the Abhaile service, which offers vouchers to people who are in debt so they can seek legal or financial advice. Honohan had previously called the scheme “a scam”, and today asked if it was a “sick joke” that people who were at risk of losing their home to be directed to this service with offers of a solution. Master Honohan then described the bill he has drafted which would, among other provisions, would aim to create a co-operative mechanism whereby funding would be provided to acquire, manage, rent or sell distressed mortgages. Unlike vulture funds, however, this agency would be based on an “ethical” non-profit model in order to support people staying in their homes. He said that if such a mechanism were to be effective, then “the vulture funds will go away”. Honohan also referenced the current furore over plans from PTSB to sell off €3.7 billion worth of non-performing loans. He said: “If I were the Taoiseach and I was standing up to deal with questions in the Dáil about the PTSB sell-off, I’d be minded to give advice to people in trouble. Regulation doesn’t give help to people who are in arrears. It won’t help people who haven’t got the money to do a deal. They’re for the chop, put it that way. If you’re a PTSB customer, you should now go to see your Pip (personal insolvency practitioner). When asked about provisions in place to keep people in their homes, he added that while people who can afford their repayments and choose not to should not be helped, there are so many in need of assistance. Email “'They're for the chop': High Court Master says 'wave of repossessions' on the horizon”. 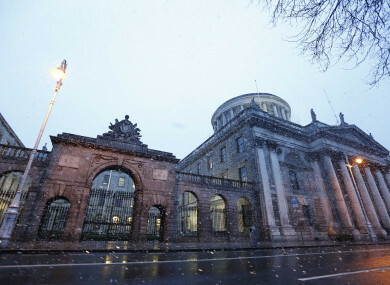 Feedback on “'They're for the chop': High Court Master says 'wave of repossessions' on the horizon”.